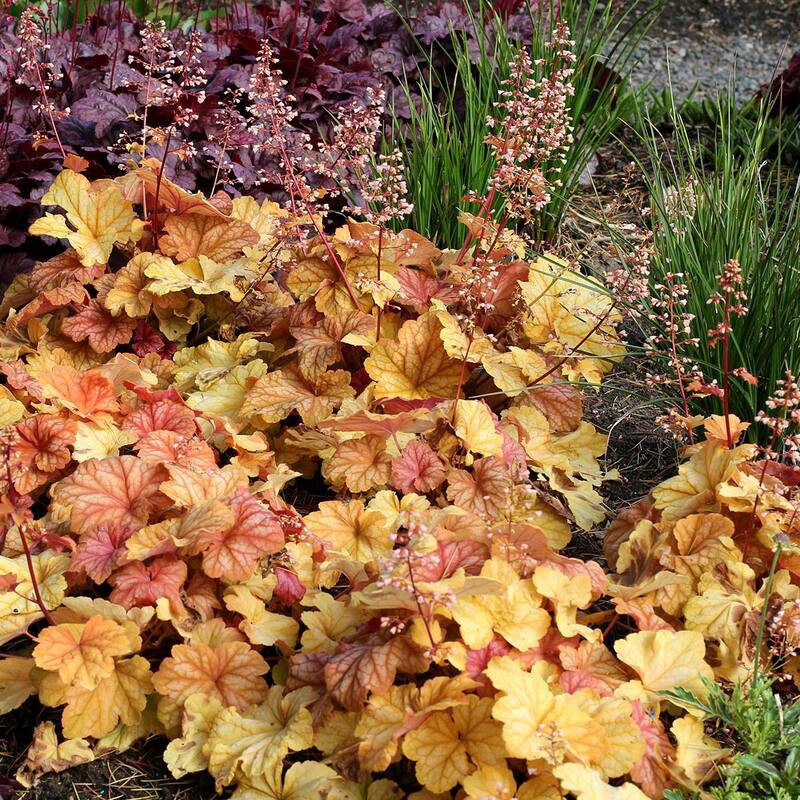 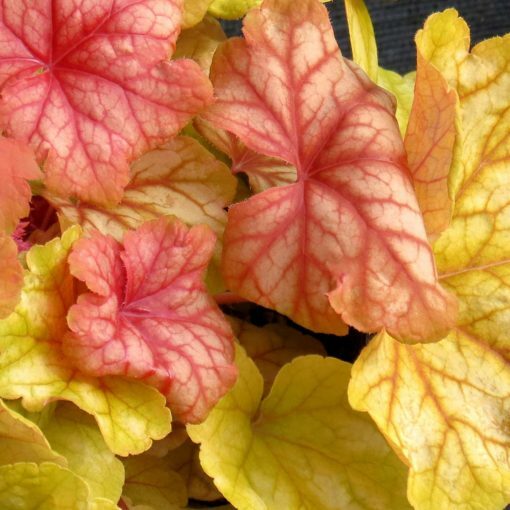 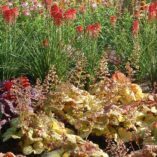 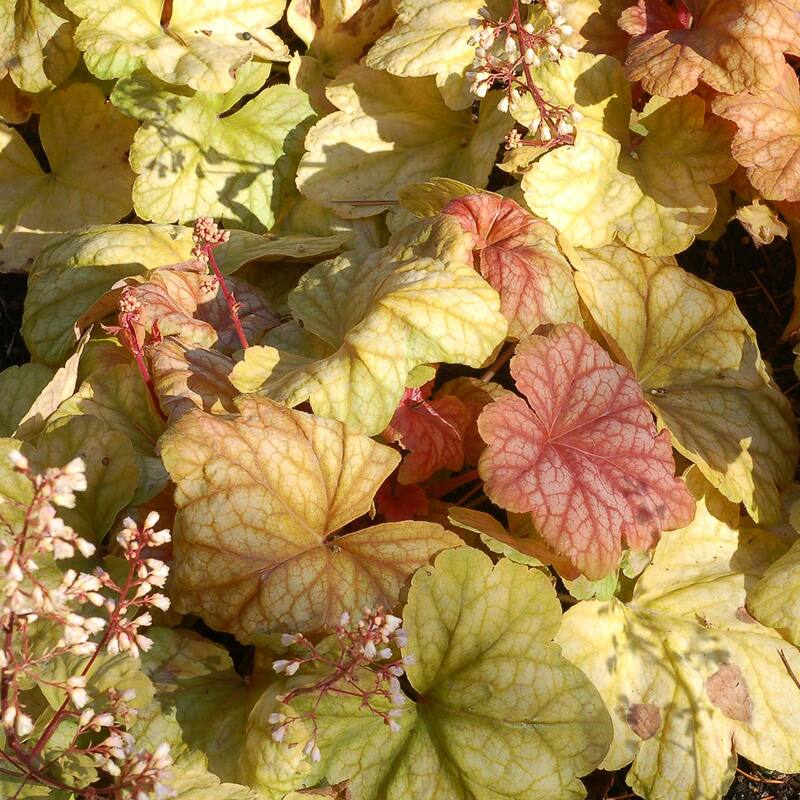 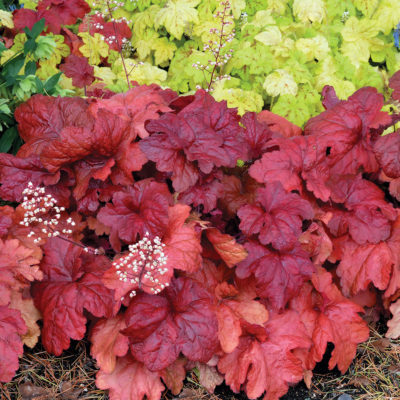 Heuchera ‘Champagne’ | TERRA NOVA® Nurseries, Inc. This is a stunning plant with medium size leaves changing from peach to gold to champagne-gold with a strong white veil overall. 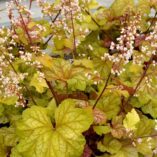 Free-flowering maroon stems with light peach flowers most of the season. 11" / 14" / 14"
A new foliage color – gold! 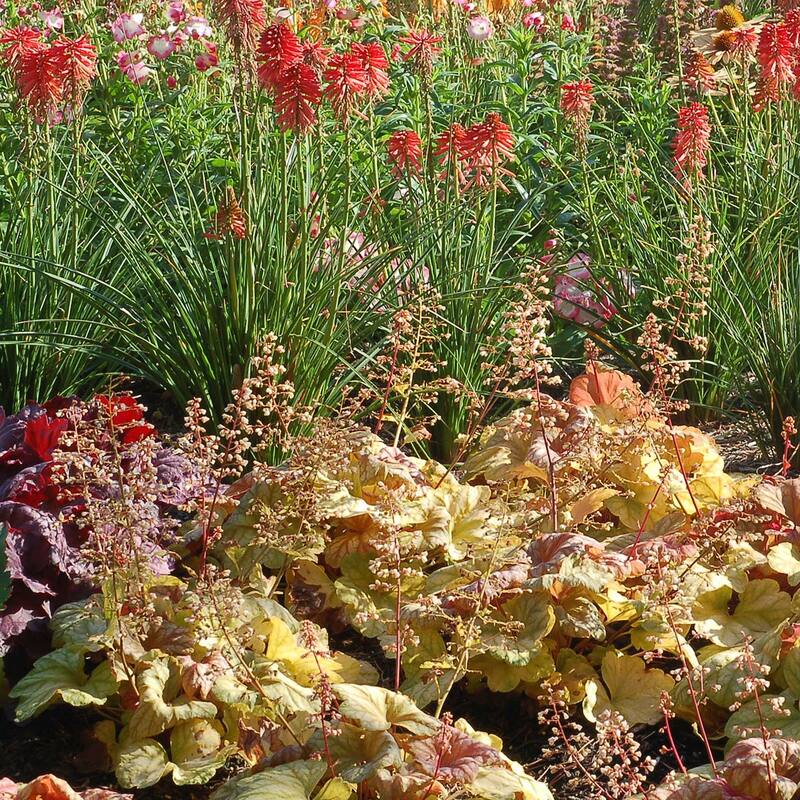 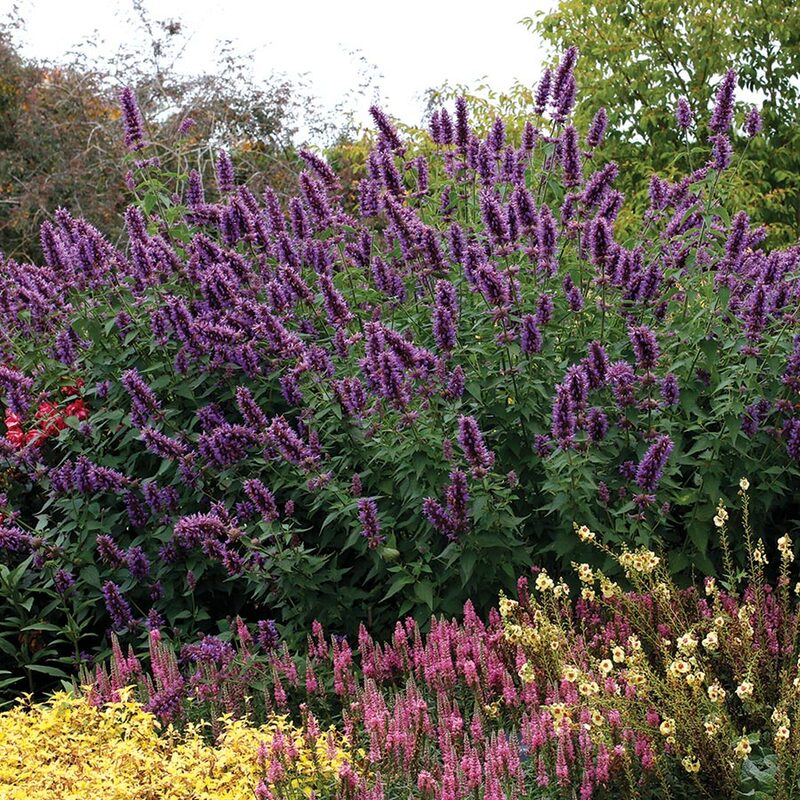 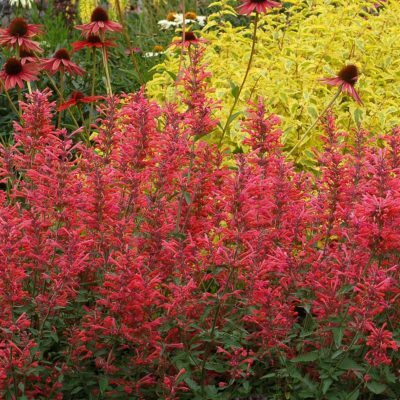 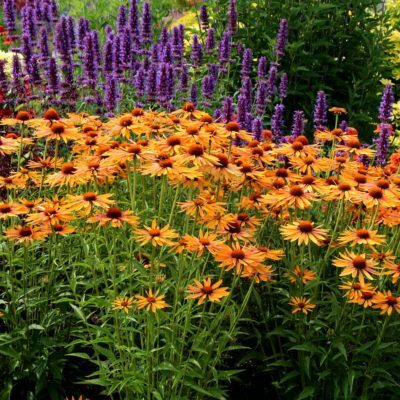 Use as an accent, border, mixed container. 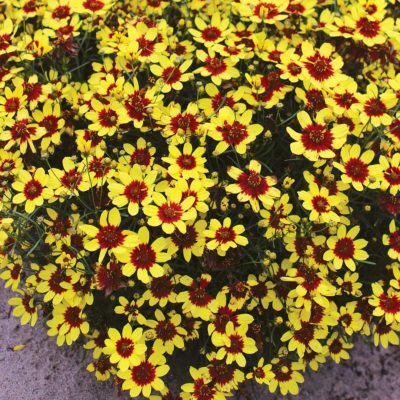 Won 'Best & Brightest' at Walt Disney World Bedding Plant Trial Program Warm Season 2016.